FireTip trading platform, trade Futures, Commodities and Options. FireTip is a FREE Futures and Commodities trading platform with real time streaming quotes and Charts. You can use either Windows or MAC OS based computers to trade with. Supports multiple languages, use English, Chinese, French, German, Italian or Spanish to trade with. FireTip is our proprietary platform, and as such we believe it has some of the coolest features you'll find anywhere. FireTip was developed by traders, for traders with user-friendly order entry for the beginning trader to advanced capabilities for those old hands looking for a powerful and versatile workhorse of a platform. 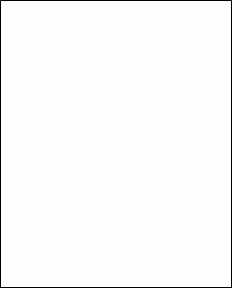 Place your entry order and a contingent stop and limit order with one click. 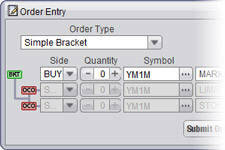 Simply create your "Bracket Strategy" (identifying the profit and loss objectives), enable it, and then place your trade! Designed for novice to advanced traders. 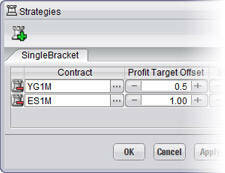 FireTip Strategies are preset bracket orders that allow you to specify and save profit/loss targets. So just enable your strategies & the next time you trade, Firetip will do the rest. Set alerts to notify you of specific market conidtions. Receive notificationa via, text, email or alarm. 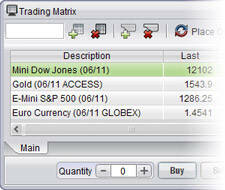 Set alerts for a variety of markets. 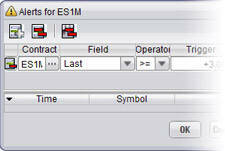 Alert parameters may include last price, last bid price, change on the day, and others. FIRETIP IS A FREE TRADING PLATFORM, NO MONTHLY CHARGE AND NO MONTHLY MINIMUMS OR DEPOSITS. FireTip is a FREE Futures and Commodity trading platform. There is no monthly minimums or deposits. Talk to our Futures Trading Brokers about how to use the FireTip trading platform. Sign up for a Free FireTip Futures trading account today!